Come and join us in a wintery world as we explore some of the stories and tales of Hans Christian Andersen. Going the journey of characters such as The Brave Tin Soldier and Thumbelina, experiencing their world and poetic language along the way. 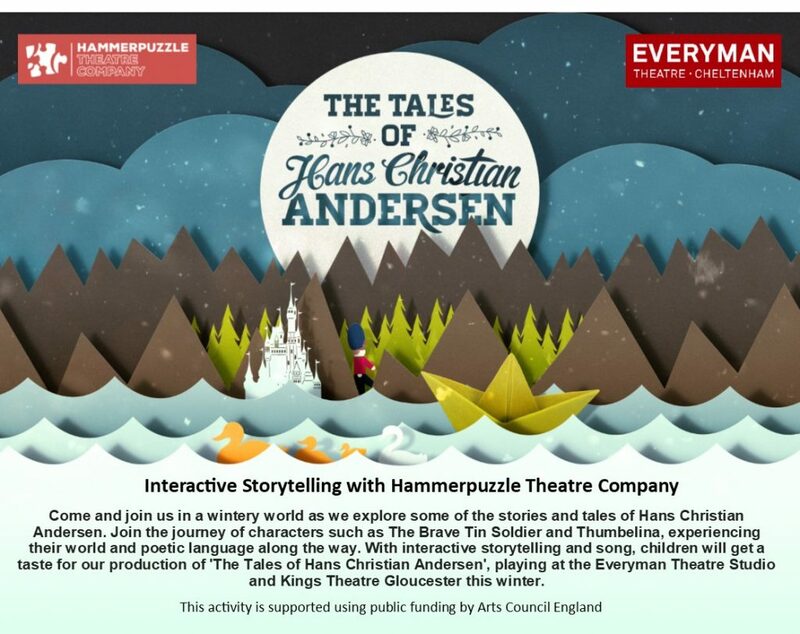 With interactive storytelling and song, the children will get a taste for our production of ‘The Tales of Hans Christian Andersen’, playing at the Everyman Theatre Studio and Kings Theatre Gloucester this winter. This activity is supported using public funding by Arts Council England.